Driving While Under the Influence of Alcohol and Marijuana DUI are typically grouped under the umbrella DUI offense together with drive a blood alcohol level of .08 and above; impaired to the slightest degree. With the legalization of medical marijuana in Arizona, having a medical marijuana card is no guarantee that you will not serve jail time if you are found guilty of driving under the influence of marijuana. Driving while intoxicated and driving under the influence of drugs like marijuana are serious offenses and should not be taken lightly. For one, you may face jail or even prison time. Thus, when charged with DWI or DUI, it is best that you have excellent legal representation to help you get the best possible results. Both drunk driving and marijuana DUI are illegal, although some changes to the DUI law were implemented with the recent legalization of medical marijuana in some states in the US, including Arizona. If a police officer suspects your driving is impaired due to excessive alcohol consumption, you will likely be requested to undergo a breathalyzer test or a blood test to determine the alcohol level in your system. If a police officer pulls you over, suspecting that you may be driving under the influence of drugs like marijuana, the arresting officer will likely ask you to undergo a blood test or a urine test to determine the what drugs are in your system. The tests are used to determine the presence of meth, marijuana, cocaine, methadone and even prescription drugs. According to statistics, for every 50 people arrested for drunk driving, 1 arrest for marijuana DUI is made. So, what will get you arrested for DUI? If you are noticed to show signs of impaired driving. In Arizona, your driving history and the circumstances that surround your DUI/DWI case will determine the appropriate penalties. Conviction may come with fines, jail time, license suspension or revocation, and completion of an alcohol or drug addiction treatment program. Following are some additional information about DUI/DWI in Arizona. It is your third DUI charge within a period of 84 months. 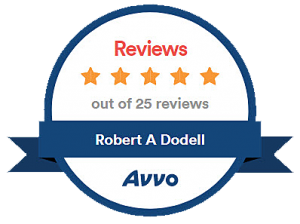 When facing a DUI charge in Arizona, contact Robert A. Dodell, Attorney At Law to get the best possible legal representation for your case.